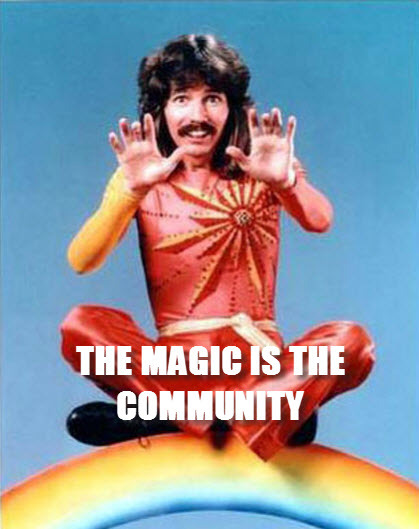 “The Magic is the Community”. That resonated with me, because I feel that it perfectly captures the essence of what the vExpert community is. There is a certain kind of magic to it, be it the amazing tools, scripts, and blog posts that the vExperts produce, or if its just the sheer willingness to help out people who are seeking information. 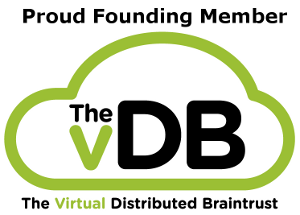 The vExpert community performs a common good for the VMware and virtualization community at large. One aspect that was mentioned on the podcast was what it meant to be nominated and selected as a vExpert, and how it impacted you in your current role/job. I wanted to answer that. Funny thing, when I got my vExpert nomination acceptance for 2012 I was working as a Sr. Network Administrator for a Medical Devices manufacturer. The IT team that managed the main server, network, and storage systems was a pretty tight team of 10 people. My primary role was Storage and Virtualization and that was what I was interested in. When I told my co-workers that I had been accepted they had simply no reaction (except the one guy who knew a little bit about VMware) but everyone else was simply indifferent. Now when I transitioned into the Sales Engineering space and started interfacing with people who worked in the Virtualization environment, especially within the product marketing and technical marketing groups, they immediately understood the value and purpose of the vExpert program. Now for me, the desire to become a vExpert came from my interactions with the many people I met at VMworld 2011, see: How a love of bacon and a trip to VMware opened the world of Twitter to Me. This past year for VMworld 2012, I went as a vExpert and it really amplified the VMworld experience, I would say the same thing for VMware PEX as well. It’s more than the chance to go to the CTO event, and its more than the vExpert/VCDX reception. It was the ability to meet other vExperts that I had interacted with over the year, and it was the sense of camaraderie. As someone who was in the military for 6 years there are very few experiences outside of the military or say professional sports that create the kind of fraternity, for us it’s a vFraternity. Even with other vExpert members that I had never met before, I felt completely comfortable to walk up, introduce myself, and know that we would at least have a common thread of discussion that we could draw upon and discuss. I think when it comes to groups of technical people, there is a sense of uneasy discomfort that can permeate a room. I see it at the VMUG events, where there is a hesitancy for that first person to perk up and ask a question. It’s only when two or three other people chime in that the heads start to nod, and others feel more comfortable to inject their thoughts into the conversation. With the vExpert community, you don’t necessarily have that, because I think that a lot of the people who have the desire to enter the program, are the types who will be the first to raise their hand and speak at a VMUG. I think thats why I enjoy the vExpert community so much, because I’m usually the first to raise my hand to speak too. I do want to say, I hope that I do get to be a vExpert again this year. This past year was tough because of the position I had didn’t allow me to fully dive deep into pure VMware and Virtualization technologies. Thats all about to change (hint hint post to come soon), but I do want to take this space to say that I am truly thankful and grateful for having the opportunity to be one this past year. I’ve met so many just truly amazing people and have had a blast in the process. I hope that my contributions to the community are worthy.